LeBC Organizes an Economic Seminar Featuring Dr. Raed Charafeddine First Vice Governor of the Central Bank of Lebanon Abu Dhabi � Beach Rotana Hotel 25 February 2014 The Lebanese Business Council organized on the 25th of February 2014 an Economic seminar featuring the First Vice Governor of the Central Bank of Lebanon, Dr. Raed Charafeddine. Dr. Charafeddine expressed great confidence about the Lebanese financial situation and revealed that the Lebanese Pound has remained strong despite the circumstances besetting Lebanon. 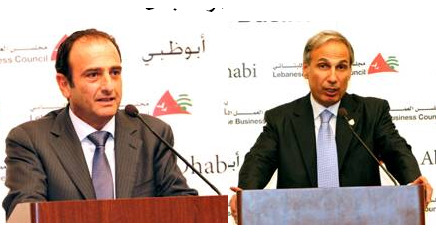 The seminar was followed by a dinner attended by prominent Lebanese Businessmen.